As anglers who hunt their prey with a concoction of fur and feather lashed to a hook,we are very, very lucky here in the UK. Given the fact that this island we live on is pretty insignificant in the grand scheme of things, it is ‘huge’ in the world of fly fishing. It is the history maker, the place where most of the world’s fly fishing doyens came from, the birthplace of methods, styles, innovative tackle and patterns taken on board and now used the world over. This is the country that brought the world the whole concept of dry fly and wet fly/nymph fishing thanks to the writings of both Frederick Halford and George Skues. 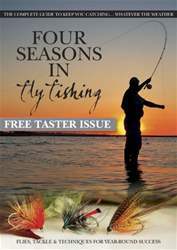 Halford was so hung up on the whole up stream dry-fly method that he decried any other form of fishing and, in fact, believed that anyone who fished in any other way should not be allowed near running water – the man drew a line in the dirt! This belief still holds true for many anglers today, and on many waters the world over rules dictate that it is the only way to fish! Thankfully Skues came along with his more adventurous wet/sunk-fly approach and our fishing styles and flies began to develop at a pace and migrated to other parts of the world. 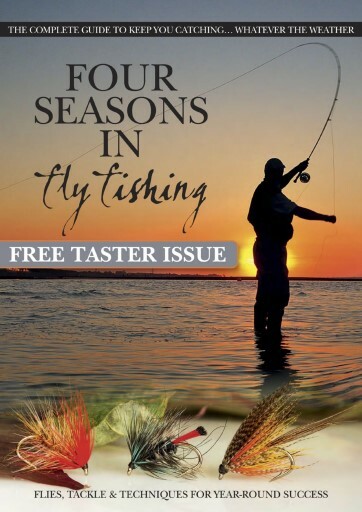 On our lochs and lakes, anglers like WC Stewart,with the advent of new lighter rods,moved away from dapping and fished with teams of wet flies designed to provoke a response from hungry trout: ‘loch style’ was born, and this too has been taken on the world over. In fact,we Brits have honed this style of fishing and are pretty much world beaters – everyone else is trying to catch up. When it comes to aspirational venues and fish species we are very fortunate too, there’s so much to go at. We are spoilt for choice: there’s river fishing to die for, with trout and grayling from the hallowed chalk streams, limestone and freestone rivers that we have at our disposal.